When you begin your search for a childcare provider, particularly if you are using an online nanny site, you will quickly find that there are many different terms that are used within the in-home childcare industry to describe different types of childcare providers. Some of these include nanny, babysitter, au pair and mother’s helper. In order to find the right type of provider for your family, it’s crucial that you understand the definitions of the different terms. When searching for a childcare provider, you’ll want to be sure to confirm that the term a provider is using to describe herself accurately portrays the provider’s level of experience and the duties she is willing and able to perform. A babysitter is hired by parents to provide occasional and temporary childcare. Many parents hire babysitters for date nights, to care for children while they run errands or to provide short-term temporary care while they are out of the home. Babysitters may have limited childcare experience or may have been babysitting for several years. While caring for the children, the babysitter’s role is to keep the children safe until the parents return home. Babysitters typically charge much less than nannies and do not play an active role in the social, emotional, physical and intellectual development of the children in her care. For families looking for short-term, occasional or temporary care, a babysitter may be worth hiring. For families looking for full-time childcare, a nanny is the appropriate type of provider. A nanny is employed by a family on a live-in or live-out basis to care for the children and to undertake all of the tasks related to the children’s care. Nannies are typically at least 18 years of age, have extensive childcare experience (at minimum two years) and may or may not have formal training, but generally have a solid working knowledge of child development and an interest in early childhood education. Nannies partner with parents in raising physically and emotionally healthy children. Nannies ensure that the physical, emotional, social and intellectual needs of the children are met while they are in her care. Families looking for personalized and customized childcare may find that hiring a nanny is an excellent choice. An au pair, by definition, is a foreign national between the ages of 18-26 who has come to the United States through the United States Department of State, Bureau of Educational and Cultural Affairs Au Pair Exchange Program. Au pairs participate in the cultural exchange program to experience American life in exchange for providing limited childcare services to a host family. It is important to use caution when answering the ad of someone advertising herself as an au pair on an online nanny site. A childcare provider who is advertising herself as an au pair has likely completed her placement in the au pair program but wishes to stay in the U.S. beyond her visa, possibly illegally. For families wishing to hire an au pair, it is best to go through an au pair agency that is licensed by the U.S. Department of State to ensure they are hiring an au pair legally. A mother’s helper is hired by a family to provide assistance in caring for the children. A mother’s helper is closely supervised by the parents and typically isn’t left alone with the children for extended periods of time. Mother’s helpers may have little or no childcare experience. For parents looking for an extra set of hands, hiring a mother’s helper may be a viable option. 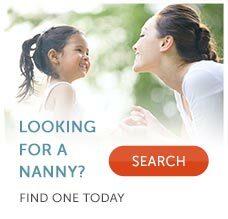 While daycare providers may list on online nanny sites, they are not in-home childcare providers. Daycare or home childcare providers offer childcare services in their own private homes, rather than in the home of families. If a family is considering this type of childcare provider, they should inquire as to if the person is licensed to provide care. If he or she is not licensed, the family should walk away. An unlicensed daycare provider may offer the lowest rates, but she also poses the highest risk to a family. Even if a provider is licensed, she must be investigated thoroughly in terms of credibility and trustworthiness, particularly if he or she will be looking after a pre-verbal child. When dealing with this type of childcare provider, not only should references be checked, but the family should also visit the daycare provider's facility –multiple times – to assess the caregiving environment and atmosphere. When searching for a childcare provider, families must be careful to understand the terms that are used to describe different types of providers. Whether listing jobs or reviewing nanny profiles, parents who use the appropriate childcare terms will more easily find the right type of provider for their family.